When choosing where to stay during a trip to Japan, many people consider a night in a ryokan inn to be a must. But as interesting as a night in traditional accommodation may be, Japan also has plenty of unique hotels, including, as of this month, a Peanuts hotel! After months of anxious waiting by fans, the Peanuts Hotel opened its doors in Kobe on August 1, 2018 offering rooms based on the beloved Charles Schulz comic strips. 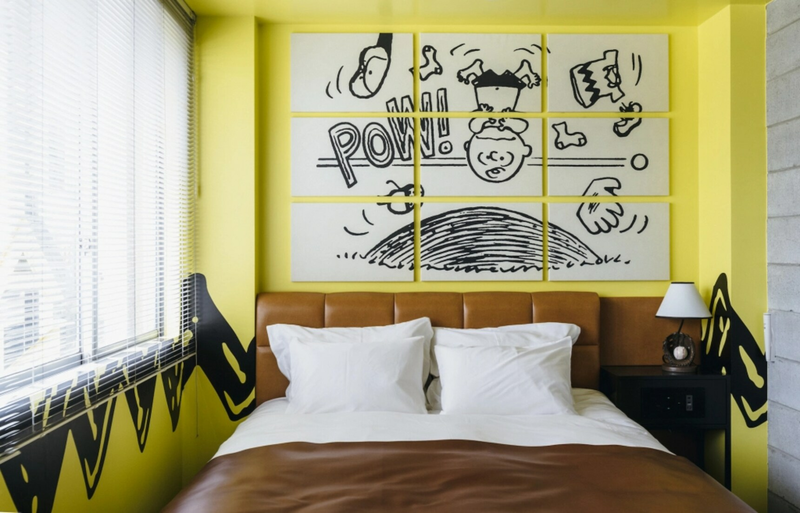 Located near Sannomiya Station, in the heart of the city’s entertainment district, the property is a boutique hotel with 18 guest rooms all offering different decorations featuring Snoopy, Charlie Brown, and other characters from the iconic Peanuts franchise. If themed hotels bring to mind tacky tourist traps, think again. 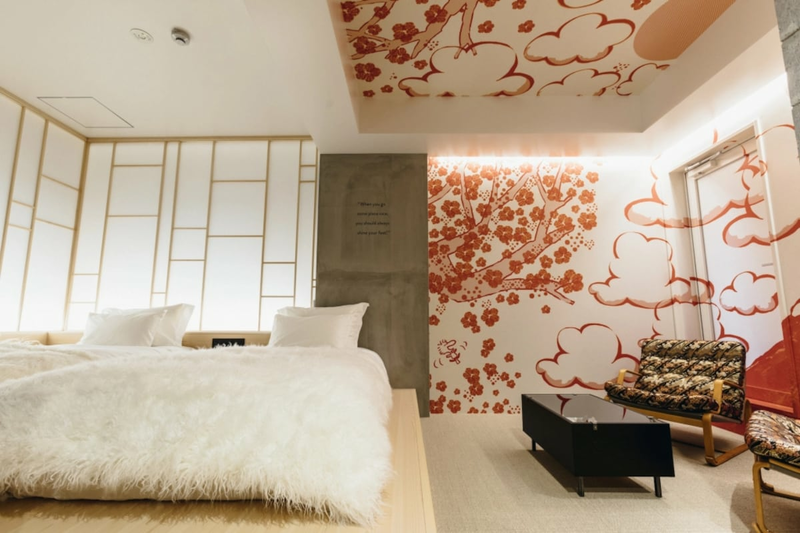 Each room is distinctly yet tastefully decorated, with this Japanese-style room being especially beautiful as it blends classical Japanese aesthetics with imagery of the world’s most famous beagle. Snoopy’s sense of chill works well with a contemplative miniature rock garden. Each floor of the hotel has a different core concept, starting with “Imagine” for the fourth, which is where you’ll find rooms commemorating the time Snoopy made it to the moon and another that salutes his suave alter ego Joe Cool. Moving up to the fifth floor, “Happy,” there’s a room inspired by Charlie Brown’s poignant quote “It’s a mistake to try to avoid the unpleasant things in life,” a philosophy that was regularly tested as the luckless pitcher got shelled by always unseen, invariably victorious opponents. But while the name on the door says “Peanuts Hotel,” it’s Snoopy who gets the most time in the spotlight, like in these California-inspired rooms showing the canine star’s stints as a surfer and outdoorsman in Yosemite National Park. Finally, the sixth floor is designed around the theme of “Love,” with the most romantic option being this room which offers an open-sky terrace with landscaping by noted Japanese botanist Seijun Nishihata. Unfortunately, the Peanuts Hotel’s rooms are so cool that they’re booked solid solid until the end of September. However, the hotel announced that they will begin taking bookings for October and November starting August 20 at 1 p.m. (Japan time) so mark the date on your calendar and click here to visit their website.